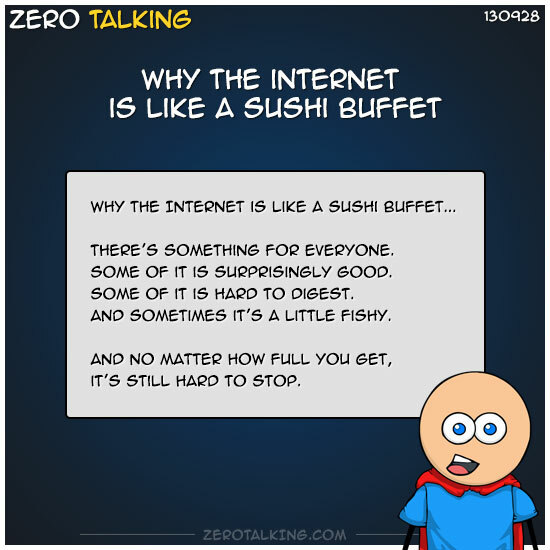 The Internet is like a sushi buffet. Some of it is surprisingly good. Some of it is hard to digest. And sometimes it’s a little fishy. And no matter how full you get, it’s still hard to stop.